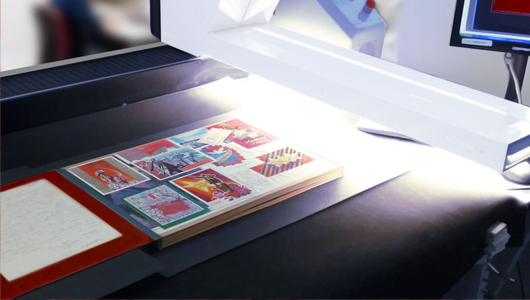 Document digitization is essential for the preservation of physical documents and heritage pieces or artworks. It keeps items in a safe place. AGS Records Management has provided document digitization to a number of esteemed organisations in order to secure their most valuable items. In our modern world, document digitization is becoming increasingly vital to organisations. AGS Records Management can guarantee the same service quality for the digitalisation, the physical archiving of the original document and the processing of the digital image. Each file is carefully managed to optimise the ease and speed of document retrieval. Our document digitization department manages the digitalisation process of your documents, which are then returned to you in an electronic format. This first step consists of determining the quality of the documents to be scanned, sorting them and removing the staples, paper clips or binders, if needed. AGS Records Management carries out the imaging your documents in highly secure, specialised rooms. We use high-performance scanners, dedicated computer work stations and advanced software. Our EAS software integrates a hybrid classification plan system that manages physical document storage and electronic records in a unified way. Indexation is set up according to your search criteria, to ensure the ease of retrieval of digital documents. Our experts will also verify the digitised documents to be sure of the quality and to respect the client’s brief. The documents, once digitalised and indexed, will be added to our Document Storage System. This will allow users to consult digitised records in an easy and secure way. The original physical records will be stored securely and confidentially. EAS software search engine will examine all the metadata of each saved document and match it with those provided by the user in the search interface. Unique software at your fingertips, in seconds! EAS is a unique software developed by the AGS Records Management team. This allows us to control its development and integrate the demands of our customers more efficiently. It enables the search and control of physical archives, as well as the consultation of digital images. EAS is a full Web SAAS Software. Access is secured by a login and password, as well as by a HTTPS protocol. Thanks to its web technology, an Internet connection is sufficient to connect. The deployment of this tool is therefore very fast, at a lower cost and without any change to computer equipment. Due to AGS Records Managements’ stringent quality and information security standards the EAS System is ISO 27001 certified. This ensures the protection and security of all information and peace of mind for our clients. International standards in Information security are assured.